The world might shout loudly about Fidel Castro’s official resignation. Here, in Havana however, the news has been received with barely a glimmer of interest. The muted celebrations trumpeted on the front pages of the Miami Herald have had no replica here. The Message from the Commander in Chief (Comandante en Jefe) has been stamped across the whole front page of Granma, the official state newspaper, but there is otherwise neither much coverage nor much commentary. 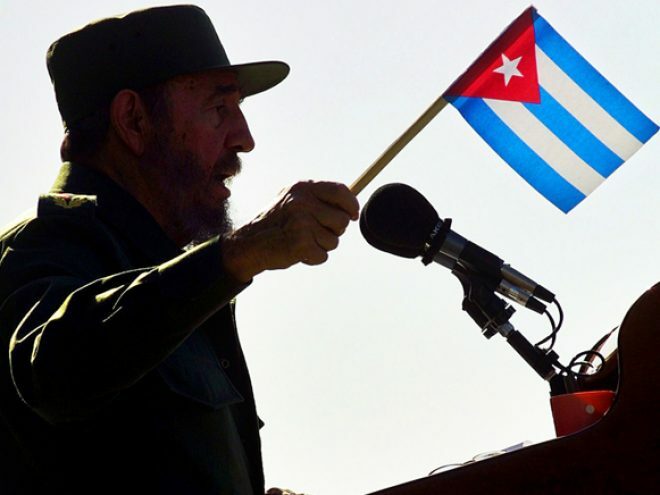 With much aplomb, Castro announces that he will not seek re-election, nor will he accept, re-election as President when the newly-elected Parliament comes to vote for the new Presidency in March. Instead, he will continue to fight as a soldier of ideas through his Reflections as Comrade Fidel. In the early afternoon, after people have queued for their obligatory lunchtime peso pizza, the news has only just filtered through. Nobody shouted across the street with the early morning news, no televisions or radios blared. Indeed, most people in my building found out because I had been told by a stream of text messages received in the early hours of the morning from Europe, which I then duly shared with anyone who would listen. The Commandante’s letter eventually was read out by the television anchorman with somber thanks to their Lider Maximo for his contribution to Cuban development and society over the last half century. Nothing more, nothing less and all within the usual time slot allocated to news bulletins. There are no waves of protest or support in the Plaza de la Revolucion. Barely an eyebrow has been raised here, in comparison with the sensationalism across the international media; in Havana, at least, nobody considers that the official confirmation of retirement does anything to alter the status quo over the last two years. Perhaps Raul Castro will be slightly more open to enterprise, and perhaps slightly more realistic about the need to open the economy. Fidel-lite or not (in American-Speak), there is no great brouhaha about the impending demise of the man, born of a Galician immigrant and a Cuban mother in the eastern Oriente province of this island, who stormed to power in one of the defining moments of the twentieth century, who has dictated the lives of people here over the last 49 years. On the streets, perhaps it is a little harder than usual to find Granma. Most people have read, borrowed or bought a copy somehow. Young people and men are sitting sprawled over lunchtime bottles of buccaneer, shouting animatedly at the Real Madrid v Roma football game on television screens. Occasionally, someone will glance furtively at their copy of Granma and read out, either with approval or barely disguised cynicism, the lines from the Message which most affect them. I have heard repeated here several times today the quote, with a thin smile at the same time: – To my dearest compatriots, who have recently honored me so much by electing me a member of the Parliament where so many agreements should be adopted of utmost importance to the destiny of our Revolution, I am saying that I will neither aspire to nor accept, I repeat, I will neither aspire to nor accept the positions of President of the State Council and Commander in Chief. That is the height of the reaction on the streets. Sensationalist 24 hour news reporting has no place in this society, and in this instance, they are probably right not to change the course of their day. For all the proclamations of Bush, followed vocally by Brown and his EU counterparts, this country is well accustomed to receiving hostile criticism, that is often and largely unjustified. Remember that Cuba remains on the USA’s list of official States who Sponsor Terrorism, although it is the United States leadership over the last decades that have tried every unruly method to unseat Castro and his Communist state. Bush, and the British Foreign and Commonwealth Office, now have used the leader’s announcement to call for peaceful transition to democracy and an improvement in human rights. But, the American-European language of democracy and human rights has become nothing more than a farcical hollow echo, that rings less and less convincing after each new misadventure. Iraq was but the last in a long line. Look nearer the Cuban shores to see what American adventurism did to Latin America, and where our elected leaders failed to speak up in the wake of the many thousands of “disappeared” throughout Argentina, Chile and Argentina, by regimes often backed up by our own. Look back to the days when Fidel, Che and their compatriots were fighting out in the Sierra Maestre against the Batista regime here, when American companies were buying out huge tracts of central American land, in the form of United Fruits and other such giants, leaving swathes of populations without land, food or shelter whilst the regime openly practised torture and murder. It is too easy, perhaps, to dismiss Castro as the last in a long line of 20th century dictators and we, in Europe, have been unconsciously subjected to much the same anti-Castro propaganda that Americans have swallowed willingly for decades. Such views are simplistic and often plain wrong. This is no country, nor politic, to dismiss out of hand. It is true that freedom of expression remains disturbingly controlled, with many artists, writers and even librarians finding themselves jailed for no more than the crime of reading a banned book. But without pretending that Cuba is some idyllic paradise (and it is worth stating that ration coupons still exist here leading to real shortages in food supplies to this day ), it is wrong to dismiss Cuban Communism as another Stalinist state. One only need to look at the political, economic and social crises in the surrounding Caribbean and Latin American countries to understand that the Revolution, imperfect in so many ways, has nevertheless managed to achieve many tremendous successes, in the face of spiteful economic war waged on it by the most powerful country in the world. And, far from distancing ourselves from these economic sanctions placed on Cuba through the embargo (known here as el bloqueo) and the Helms-Burton legislation, the EU countries have maintained an undignified silence which amounts to little more than acquiescence with the American position. Indeed, even the American position on Terror, with which so many sympathised in the aftermath of 9/11, is met here with understandable irony. The American Five remain held on life sentences in the USA , following trials which have been manipulated by the US justice system in a wholly irregular way, for alleged “crimes” of seeking information on American soil about planned terrorist attacks on Cuban soil. Bush’s cry for human rights and democracy seems cartoon-like in its naivety. Cat chasing Mouse chasing Cat again. There are statistics here which are much trumpeted. Put aside, if you will, the free national healthcare system that has produced a higher ratio of doctors to population that the USA, and almost the lowest child mortality rate in the continent. Put aside the education system of which Americans, burdened with debt, would be so envious. Forget the high literacy rate which has led to such a knowledgeable and cultured population that our own leaders, fearful of sliding standards of mathematics and grammar in today’s youth living in cities awash with knife and gun-ridden hoodies sporting ASBOS, would be jealous. This is an island where a street sweeper can talk Shakespeare, Lorca and Marti. This is a country where the State has supported and encouraged arts and music, so that they are never far from the average man next door. Never mind the huge steps taken to eradicate discrimination here, both racial and sexual. No, put aside all these accomplishments in a developing world country where shanty towns do not exist and look at the things we all recognise immediately. Just look at the city landscape, the littoral of Havana. Tourists are beginning to flock back to these cobbled, broken streets roamed by American chevrolets of every colour and hue. They don’t come to see identikit McDonalds, Starbucks and KFC restaurants. They don’t come to see shopping malls some 10 stories high. They come instead to see one of the most splendid capital cities of Latin America, in the 1930s rivalled only by the grandeur of Buenos Aires. True it is that most of the city has fallen into magnificent decay, partly a result of the financial ruin in the 1990s when the country was forced into a so-called special period to counter the withdrawal of huge financial support from the USSR, partly a result of the non-availability of materials because of the blockade and partly a result of decades of official failure to prioritise renovation projects. These are now well underway, with a constant hammering and dust storm falling over the back-packed tourists below, under the supervision of the City’s custodian Historian, Eusebio Leal. Those improvements will be wholly welcome to a population who has lived in poor quality housing for many years, where buildings sometimes collapse overnight. What will be unwelcome to the majority here, however, will be a mini-Miami in their backyards, again. Most people pray that the rumours that the big multinational coffee and burger companies have “contracted” for land along the seafront Malecon as soon as the Castro brothers die, are only misinformed rumours. What changes would people on the ground wish to see? People want to see change here, and there are clear areas of improvement upon which the Cuban government can focus. Whilst some of these plainly include so-called first generation human rights (and the release of the 72 prisoners of conscience whose plight has been highlighted by Amnesty International), of the most concern to ordinary habaneros is less regulation in small business, allowing them the freedom to operate without excessive State interference. Simpler changes would also make a difference to daily life here: Cubans are subject to a devastatingly unfair system of apartheid in their own land, where they can’t earn hard currency unless they work in the tourist industry and where they are not allowed to make use of hotels and tourist facilities unless the State treats its workers to a holiday for being part of the national vanguard. This double currency has left many Cubans having to resort to a process known as “skimming”, which even Castro has recognised as having a financially damaging impact on the national economy. Whilst Castro himself may be proud to go to his grave without owning or earning even a dollar of hard currency, in a country where the national wage is barely about $10 a month (as a doctor or computer engineer), most Cubans need access to opportunity. No American Mafia here please! What very few here say they want, however, no matter how much they struggled in the 1990s and early 2000s, is a re-run of the days of the American mafia here in Cuba, the gambling and brothel den of the 1950s where the rich were very rich, and then they fled to Miami. Nothing is simple here, and politics change daily, but almost nobody wants fully-fledged American style capitalism here, where each man fends for himself and to hell with him if he can’t feed his family. This is a country where socialism was an experiment which met with some undoubted success in many fields, in the face of a hostile and unforgiving world. It is churlish, vain and arrogant for both Britain and the EU to ignore that. Spouting the language of human rights and democracy has become little more than rhetoric by the self-styled West against countries and governments who refuse to plough money into the pockets of the wealthy western multinationals. There is little doubt that some basic freedoms do not exist here (and Raul Castro would do well to make immediate change in this field), but equally, so-called third generation rights are being met in ways that the self proclaimed First World dares not ponder. India, the world’s biggest democracy, suffers from poverty on a scale not imaginable in this country. Indeed, ask any Indian political observer and they are the first to reveal how their democracy is filled with holes where politicians buy votes across the countryside from the hundreds of millions of people who live way below the poverty line. A sack of rice or even a bag of lentils can assure the least scrupulous politician a vote in such conditions. Without either glamorising conditions here, or minimising the importance of first generation civil and political rights, we should consider our own democracies and human rights before we impose our noble ideals on the developing world. Cuba has eradicated many of the hallmarks of poverty that mark Asia, Africa and Latin America, without being endowed with a cent from the international financial institutions which effectively run economic policy in other parts of the developing world. Democracy is far from perfect in the western world, where a decent haircut and a multi-million advertising campaign are more likely to mark the winner than any concrete differences in policy between different parties. Our populations are increasingly disengaged in politics, to the extent that we allow, even encourage, our politicians to remove our own hard-fought liberties in the name of a war on terror. So blind have we become to the world outside our mortgages and the commuter grind that we barely notice when our freedoms are taken away from us. People here at least know what they do not have, and consciously reflect on what they need to improve not just their own lot, but society as a whole.